The San Juan Outdoor School offers summer adventures in rock climbing, mountaineering, hiking, backpacking & camping, nature tours, and kids’ camps. They provide quality instruction and create comfortable outdoor experiences for people of all ages and abilities. Winter adventures include ice climbing, backcountry skiing, winter hut trips, snowshoeing as well as special adventures. 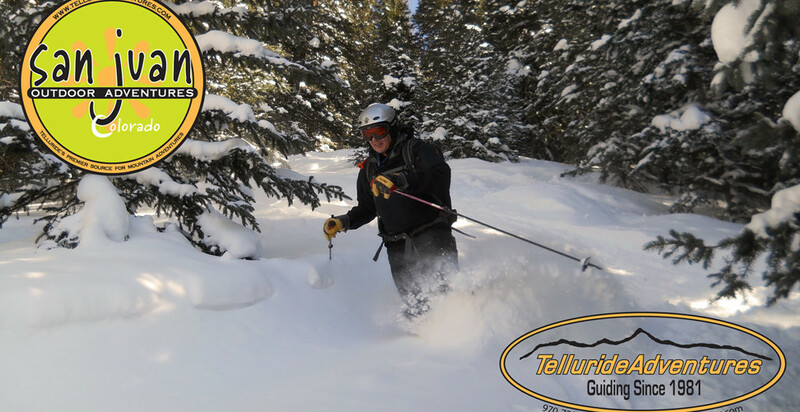 With the guidance of expert instructors and naturalists, participants in our programs gain an appreciation for the rich natural and cultural history of Tellurides majestic San Juan Mountains. The San Juan Outdoor School provides the industry’s highest quality instruction in a supportive learning environment and creates a nurturing and comfortable outdoor experience for people of all ages and abilities.